Best vodka in the world ever in the world? Chase Vodka won the best of the best at the 2010 SF World Spirits Competition and it's rather surprising. Now, this isn't the kind of vodka you want to drink through your eye, it's the good stuff. It's special because it's not from Poland, Russia, or the US and it's not a grain vodka. It's made from taters and comes from Jolly Olde England. The vodka isn't made by one of the big guys but from a guy who was a big guy in the snack food industry. William Chase was the founder of Tyrrell's, a company that makes potato chips (they call them "crisps!") and he chucked it all in 2008 to go and make vodka. Apparently, he's one of those "over-achievers" we hear so much about. He says he didn't do it with gimmicks (like a fire extuingisher for a bottle, which is freakin' cool!!) or with tons of marketing. He just became the brand and pushed his stuff until he got it to 1,000 bottles a week. 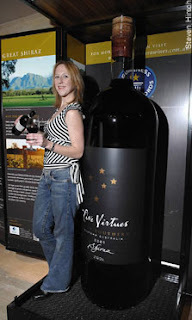 Next year, Chase plans to get to 3,000 bottles per year. 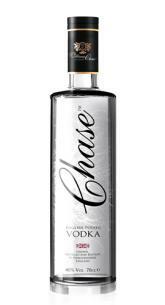 Check out Chase Vodka and let me know what you think in comments!